How do you win an argument? My wife teaches critical thinking (among other things), and she makes sure I never forget about Ethos, Pathos, and Logos. You must display all three of those in your presentation, speech, or debate to be persuasive. My wife never lets me forget about the need to make a concession, either. 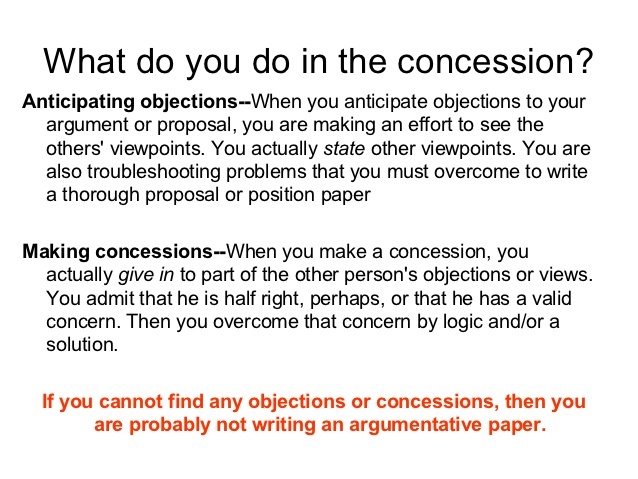 What is a concession? It is an admission that the party or person with whom you are debating or disagreeing is probably right about some things. 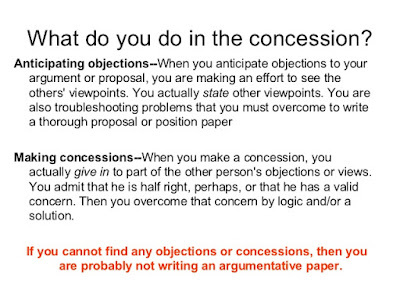 A concession stipulates that the person or party with whom you disagree may be making some very good points! Here is what is important about a concession. You need to make a concession in order to be able to win! Participating effectively in our system of democratic self-government is not exactly the same thing as writing a good argumentative paper. It is close, though! As we move towards next year, presuming that those who call themselves "progressive," or "liberal," want to win the national political debate that will begin early next year in the Congress and then extend to every part of this country, culminating in the next set of elections, we had better start addressing how we can make concessions that will establish our fair-mindedness to those parts of the country stained red in the post-election maps we saw on November 7th. In order to win the argument!